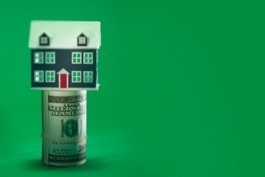 RISMedia, June 3, 2011—When it comes to private mortgage insurance (MI), there are several myths that exist that make buyers reluctant to consider a conventional loan with MI as an option when purchasing a home. One of the more common misconceptions is that cancelling MI is a difficult—not to mention time-consuming—process. The irony is that the majority of buyers don’t harbor those same beliefs or reservations about an FHA insured loan when, in reality, FHA coverage may be less easily cancelled, or take longer to cancel, than MI. When it went into effect as a new federal law, the Homeowners Protection Act (HPA) of 1998—which applies to both FHA and MI insured loans—required lenders and servicers to provide disclosures regarding MI for residential loans obtained on or after July 29, 1999. Prior to this, consumers were responsible for requesting MI cancellation if they met two factors: one, their loan balance was paid down to 80 percent of the property; and two, they had a good payment history. With MI, homeowners can request cancellation based on prepayment of the loan, as well as an appraisal. Despite falling property values, it’s possible for homeowners to gain enough equity in their home to request cancellation in less than five years based on a home appraisal. By understanding these rules and what they mean for homeowners, real estate agents can educate their buyers to help them better evaluate allof their home financing options based on facts rather than myths. This is even more important considering the FHA’s recent price increase, which has reduced buyers’ purchasing power and increased monthly mortgage payments.